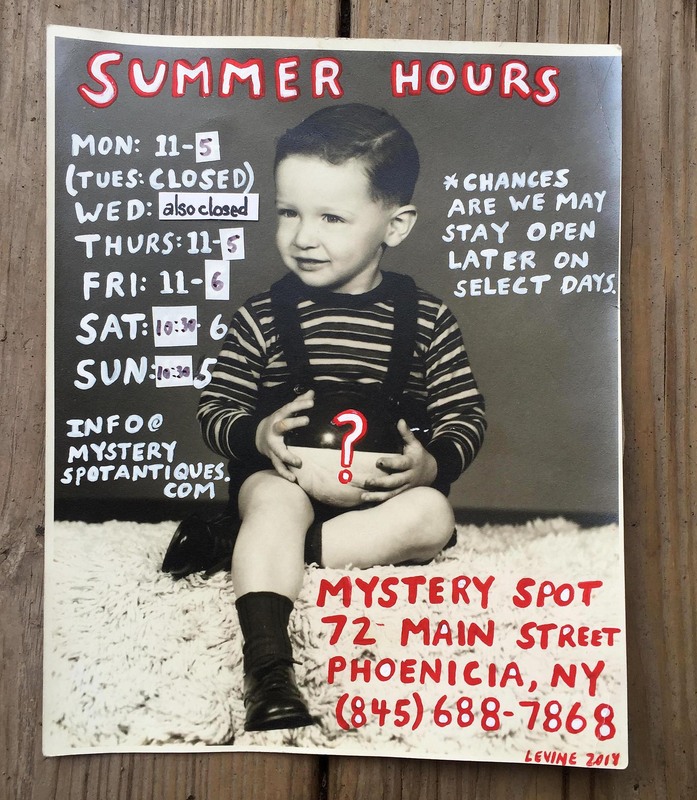 SUMMER HOURS CHANGE: we’re open five days a week all summer-long, i.e. Thursday through Monday (open every day except Tuesday and Wednesday). We’ve been buying a TON of estate items all summer long – seriously, crazy amounts! – so expect estate-fresh antiques, vintage and vinyl coming in every week!